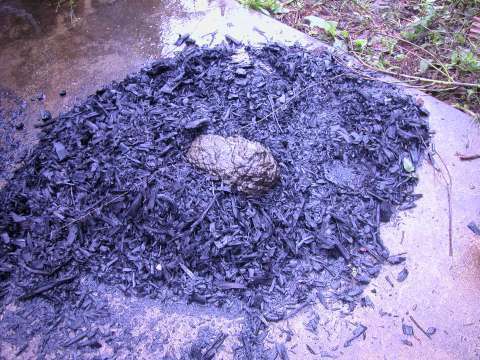 Nature knows what to do with biochar instinctively. 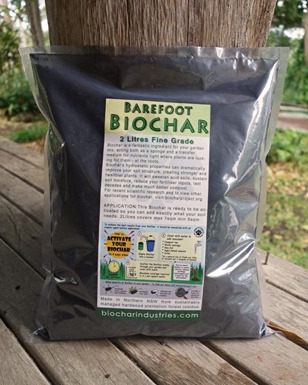 Wow I just had an amazing insight into natures instincts regarding biochar. A few nights ago I ran the johnny roger 44 gallon biochar Tlud see previous post. I emptied out the char just on the outside slab of the Biochar Industries HQ in Kunghur then I had to make a trip to town for an import meeting. When I got home last night I went straight to bed as it was late and I could do nothing biochar so I figured I would get a good sleep. In the morning I found this insight into natures instincs towards Biochar. Nature in the form of our wild cows found this nice pile of biochar and said this charmaster has forgotten to condition the biochar. I think I will remind him. Hahahahaha No where on earth can you find this kind of scientific observation and comentary thankyou biocharproject.org and biocharindustries.com for being open minded enough not to miss the point.